AutoNation's third-quarter operating income rose 14 percent to a record for any quarter of $235.7 million. Large public new-car dealership groups AutoNation Inc., Group 1 Automotive Inc. and Sonic Automotive reported improved F&I revenue per vehicle retailed in the third quarter. So far, five of the six public groups to report quarterly results have noted F&I revenue per vehicle gains. AutoNation Inc. today reported the most significant surge. On a same-store basis, the retailer’s third-quarter F&I revenue per vehicle grew 10.4 percent to $1,549, a $146 increase from the year-earlier period. The retailer said it sold 87,407 new retail units during the quarter on a same-store basis, up 5.1 percent from the year-earlier period. Retail sales of used vehicles decreased 0.5 percent to 55,875. AutoNation, of Fort Lauderdale, Fla., ranks No. 1 on the Automotive News list of the top 150 dealership groups based in the U.S., with retail sales of 318,008 in 2014. At Group 1, third-quarter F&I revenue per vehicle rose 3.8 percent to $1,518 on a same-store basis, a $55 increase from the year earlier. Executives said profit per unit increased because of product penetration. “We work every day to improve underperforming stores and increase our product penetrations. We’re delighted with the results,” Peter DeLongchamps, Group 1’s vice president of financial services and manufacturer relations, said during a conference call Tuesday. Through September, Group 1’s U.S. dealerships’ sales penetration on vehicle service contracts was 40 percent, and its penetration on GAP policies was 28 percent, the company said. It said it sold 37,132 new retail units during the quarter on a same-store basis, up 4.4 percent from the year-earlier period. Retail sales of used vehicles grew 10.3 percent to 26,756. Group 1, of Houston, ranks No. 3 on the Automotive News list of the top 150 dealership groups based in the U.S., with retail sales of 166,896 new vehicles in 2014. Sonic’s third-quarter F&I revenue per vehicle jumped 5.6 percent to $1,279 on a same-store basis, a $68 increase from the year-earlier period. High vehicle service contract penetration drove the increase, CFO Heath Byrd told Automotive News. He said the company’s planned rollout of a dealership F&I tool will begin after “we are 100 percent sure that CRM, appraisal and desking tools are fully implemented in the dealerships.” Sonic is launching the tool by market “so once a dealership is ready, we will move that dealership into the next phase,” he said. He expects to begin introducing the F&I tool in the first market in the fourth quarter of 2016 or first quarter of 2017. Sonic said it sold 36,545 new vehicles on a same-store basis in the third quarter, a 2.5 percent increase from the year-earlier period. Used-vehicle sales reached 29,173, up 8 percent. Sonic Automotive, of Charlotte, N.C., ranks No. 5 on the Automotive News list of the top 150 dealership groups based in the U.S., with retail sales of 135,932 in 2014. 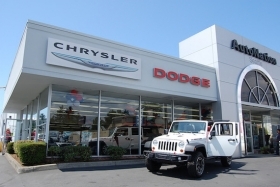 Last week Asbury Automotive Group reported a 2.1 percent rise to $1,362, and Lithia Motors Inc. reported a 5.9 percent climb in third-quarter F&I revenue per vehicle retailed to $1,274. Penske Automotive Group Inc. will report third-quarter financial results on Thursday, Oct. 29.